As one of the most rewarding professions, CNAs provide care to patients or seniors who need daily assistance. Their specific role various based on the setting, which can include patients’ homes, assisted living facilities, hospitals, elderly care centers, and nursing homes. As a CNA, you’ll play an important role in improving and maintaining the quality of life by supporting patients’ needs, regardless of age, ethnicity, or gender. CNA training will ensure you have the skills and know-how to gather critical information about the patient to understand the type of care needed. After collecting the vital data, you’ll report the facts to a supervising nurse on a regular basis. Society’s demand for people with nursing skills means there will always be a demand for skilled CNAs. The high turnover rate for CNA positions and the growing demands for senior care are the primary factors that influence demand. CNAs earn an annual median salary of $36,000, according to the Bureau of Labor Statistics. The nursing assistant program at B&M Career Consultants prepares inexperienced individuals to provide professional care to seniors in nursing homes. The 90-hour program includes 50 hours in the classroom and 40 hours in a clinical setting. Students complete the New Jersey Department of Education/Dept. of Labor and the Department of Health and Senior Services approved course in just 5 weeks and are prepared for success on the NJ DHSS skill and written exam. Applicants must provide copies of their high school diploma or GED, photo ID, and another form of ID. A placement test is mandatory for those without a diploma or GED. Other requirements include an MMR vaccination and physical exam. A two-step Mantoux will be administered prior to commencing the class. After completing the 5 to 6-week nurse aide program at Bradford Institute, graduates will be prepared to take the NJ state DHSS nurse assistant licensing exam. 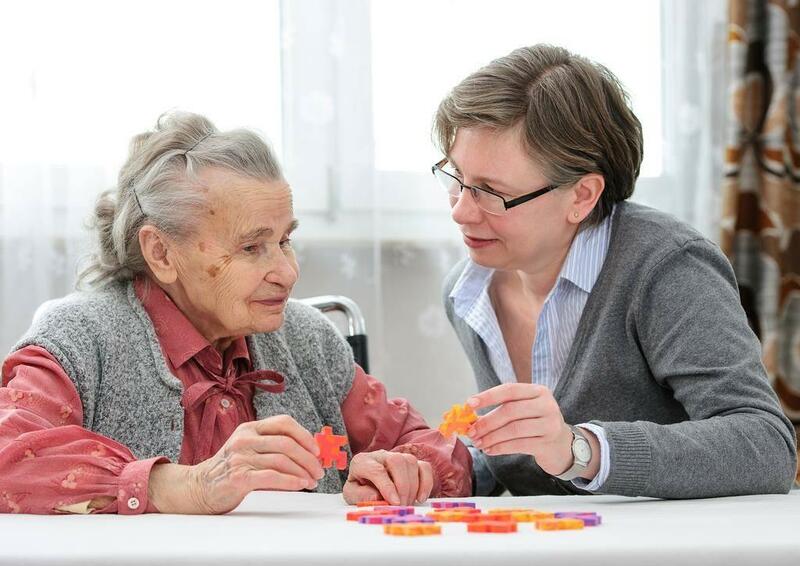 The training is specifically targeted to individuals who plan to care for residents in long-term care facilities. Instructors emphasize the provision of quality and compassionate care to promote the optimum level of health for all individuals. Classroom instruction and supervised clinical training at an off-site facility provides prospective caregivers with the basic nurse assistant knowledge and skills to assume the responsibilities of a nursing assistant in long-term care facilities. Classroom topics include basic nursing concepts, infection control, vital signs, safety and emergency procedures, rehabilitation and restorative principles, anatomy and physiology, communication, and nutrition. Students learn how to meet patients’ physical, recreational, psychological, and spiritual needs while maintaining due respect to their rights, dignity, privacy, and independence. Day and evening schedules are available. Workforce Advantage prepares students for the state certification exam and employment as CNAs at hospitals and long-term care facilities. The combination classroom, lab, and clinical instruction is made possible through partnerships with leading employers in the healthcare industry. Hospitals and long-term care facilities not only provide a place for completing the clinical requirements of the program but also welcome new graduates into gainful employment. Instructors use a student-centered approach which includes valuable hands-on experience in the school’s state-of-the-art clinical lab. Through demonstrations, lectures, and interactive discussions, instructors reinforce the knowledge and skills students need to pass the state’s written exam and skills test. Applicants must demonstrate a minimum 5th Grade Reading Level though their performance on a TABE Test and obtain criminal background clearance. background. The Certified Nurse Assistant training program at E&S Academy prepares students for a rewarding job of caring for others. The program follows the state-outlined curriculum with a heavy emphasis on modern trends and current issues affecting the provision of direct care. Students obtain the vital skills to assume their roles as CNAs at hospitals and long-term care facilities. The course, comprising of classroom and practical education, has earned a reputation as the best in NJ. Course topics include disease processes, hygiene, nutrition, infection control, data collection, psychosocial care and much more. The 90-hour comprehensive course includes 50 hours in the classroom and 40 hours of supervised clinical in select long-term care facilities. Applicant must have a high school diploma, GED, or a post-secondary certificate to enroll. Health requirements include a basic physical, MMR, varicella, Hep B series, and two step PPD. The school offers short term payment plans for all students. The CNA training at Ace Healthcare Training Institute helps students meets the requirements for state certification to provide direct care services as entry-level CNAs. The combination classroom, lab, and clinical training is just 4 to 6 weeks based on class schedule. The program comprises of 90 hours of classroom (50 hours) and clinical (40) instruction. Instructors administer exams throughout the course to determine students’ learning level and make arrangements for additional practice, tutoring, and independent study for those who need it. The state-approved CNA training program at Healthcare Training Institute’s meets all standards set forth by the Department of Health and Senior Services. The 90-hour program consists of 50 hours of classroom instruction and 40 hours of clinical practice in a state-licensed long-term care facility. In compliance with Federal regulations, the program covers a minimum 16 hours of training in residents’ independence and rights, safety and emergency procedures, communication and interpersonal skills, and infection control. Other topics include basic anatomy and physiology, vital signs, observation and reporting, personal hygiene, laws and ethics, patient mobility, restoration, and rehabilitation. Graduates are eligible to take the state certification exam to become Certified Nurse Assistants. Morning, afternoon, and weekend schedules are available. Classes are 2 to 3 months based on the schedule. Humane Concepts Healthcare School prepares students for entry-level health care positions as well as the state’s certification exam. The course curriculum, in accordance with state guidelines, covers topics such as patients’ rights, emergency procedures, anatomy and physiology, communication skills, infection control, vital signs, and roles and responsibilities of nursing assistants. Students also learn how to work in teams and the importance of tact, patience, and dependability. Applicants must provide a record of immunization, two forms of ID, and a high school diploma to enroll in the program. The 90-hour training includes 50 hours of instruction in the classroom and 40 hours in an approved clinical setting.